What is PG&E HAN Validation Testing? NTS has been selected by PG&E to provide testing of HAN (Home Area Network) devices for use with PG&E’s SmartMeters™. 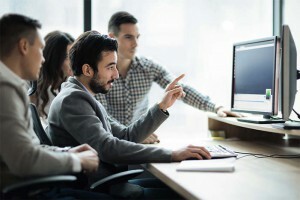 PG&E customers can now connect to their SmartMeters to provide real-time energy use in their homes using ZigBee Smart Energy . PG&E has previously been working with device manufacturers directly to validate their devices work with the home and business area networks (HANs/BANs) of their customers. However, PG&E has recently decided to qualify third-party labs to perform this testing on their behalf. NTS has been selected as the first lab to provide these services outside of PG&E. The device manufacturer must download the CA IOU application form from NTS.com and send the completed copy to pgehan@nts.com. All products tested for PG&E validation will require prior certification to the ZigBee Smart Energy standard. NTS will review the application (based on PG&E’s guidelines) and will let the manufacturer know if it was/was not accepted. 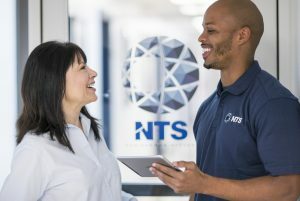 If the application is accepted, NTS will provide information on testing, including the necessary contract and payment for testing, as well as shipping information. NTS will then conduct testing of the device manufacturer’s product and provide a test report back to PG&E and the device vendor. PG&E will then approve the Test Report & notify the device manufacturer if their product has successfully completed testing. PG&E HAN validation testing is currently available at NTS. Contact us today for more information.